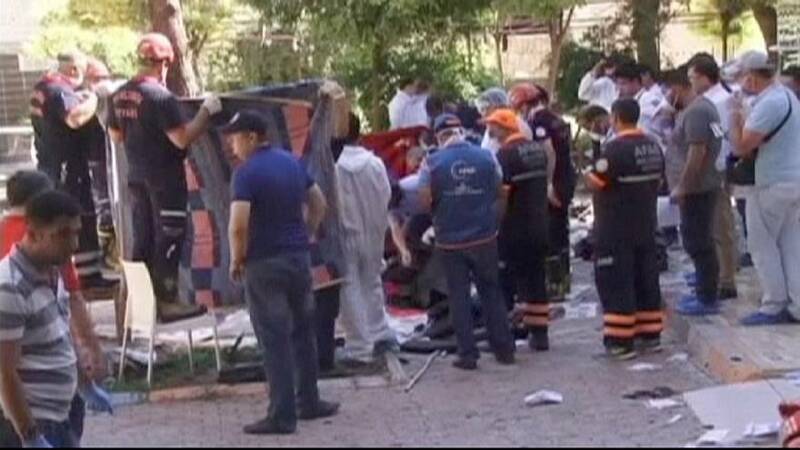 The political consequences of Monday’s suicide bomb attack in the Turkish city of Suruç are beginning to make themselves felt. For the most part the victims were young activists, meeting to make plans for a humanitarian trip to Syria. At least 31 people died and 104 were injured. Ankara is blaming the group calling itself Islamic State. Turkish Prime Minister Ahmet Davutoglu says security measures along the border with Syria will be increased. But he also warned that Turkey’s internal security could be compromised by the spillover of conflict from neighbouring countries. The attack triggered protests across Turkey. Some turned violent. In Istanbul, police used water cannon, tear gas and rubber bullets to restore order. The international community has condemned the attack and called for renewed cooperation in the fight against the group known as Islamic State.